Mother’s Day is right around the corner and what do you do for a mom who has everything? You make a gift from the heart. 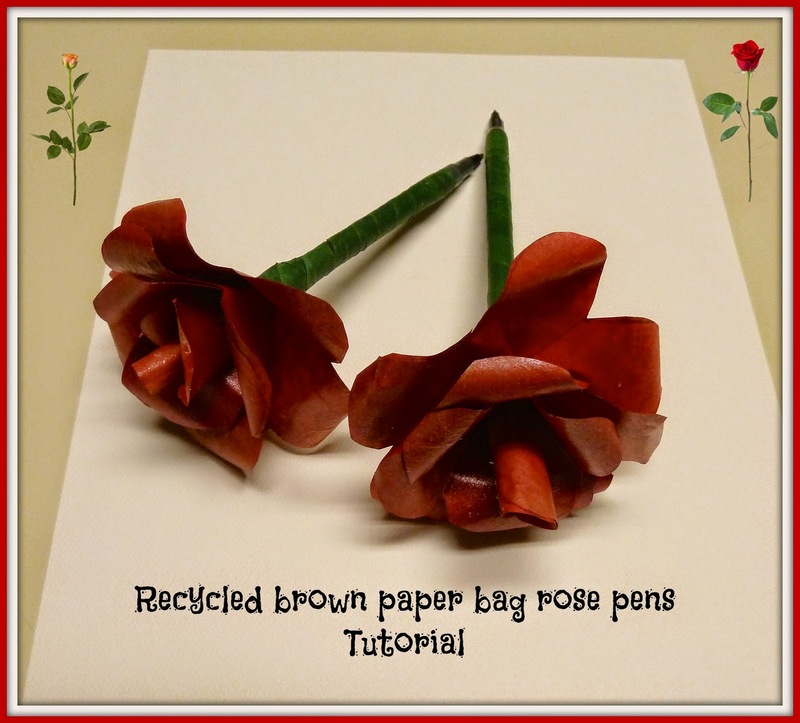 You could just go out and buy a rose and take her to dinner…but dinner and a hand made rose pen is special and useful. It costs practically nothing and uses a recycled brown paper bag. Interested? Well grab your bag and read on. 4. Cut a one section to the center of one flower. On the second flower cut out one petal. On the third flower cut out two petals. Save the cut out single and double petals, they will be the center of the rose. You have combined two of my favorite things - paper and pens! I can't believe you turned a paper bag into that beautiful rose. Visiting via "FridayFlashBlogJennyEvolution"
Have a great week and a Happy Mother's Day! Thanks so much for sharing with Wednesday's Adorned From Above Link Party. Thanks so much for sharing on Tutorial Thursdays this month. Your craft will be featured tomorrow 29th May 2014.